AC Milan transfer news: Deulofeu in, Kessie out? AC Milan are reportedly still interested in Watford forward Gerard Deulofeu and Champions League qualification could help fund a summer swoop. The 25-year-old has been in fine form so far this season, scoring seven goals and providing five assists in just 24 appearances. That in turn has kept Milan interested, according to Calciomercato, who note that a January pursuit failed while the Spanish winger could now command a transfer fee of around €30m. Time will tell if that’s a figure that the Italian giants can afford to splash out, but securing qualification for the Champions League will surely have a hugely positive impact on their budget. With that in mind, coupled with the fact that Milan have a real lack of quality depth in the wide positions as coach Gennaro Gattuso continues to rely heavily on Suso and Hakan Calhanoglu, Deulofeu could be a sensible addition. Further, he has previous experience of playing in Italy having enjoyed a productive loan spell at Milan in 2017, scoring three goals and bagging four assists in 17 outings. 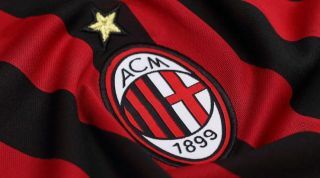 In turn, it could be a smart signing from the Rossoneri, as they’ll also need quality depth to ensure that they can compete across all competitions next season. However, there is also an exit which has been touted, with Calciomercato adding that question marks have been raised over Franck Kessie’s future at the club and that a €40m offer could convince them to sell. After joining on an initial loan deal from Atalanta, Milan are expected to pay €20m this summer to make it a permanent switch. That coupled with his recent spat with Lucas Biglia on the bench during the defeat to Inter on Sunday could now lead the way to an exit from the club. Although Kessie has been an ever-present in the line-up under Gattuso, critics will point towards his lack of improvement and development over the past 18 months, particularly in the final third. As a result, his presence may not be missed on the face of it, but losing the work-rate, energy and combativeness that he shows on a weekly basis could be a big blow for Milan if they do indeed choose to cash in.